fabulous my skin looked marvellous the next day. Excellent! The most painless waxing experience I have ever had! Louise is very professional and skilled person, with a very friendly manner. I feel in safe hands. Nice lady and it was not painful. Will come back again. Louise is friendly and her treatment room in her home is clean and relaxing. Excellent LVL treatment with tinted lashes. I would recommend. Perfect as always. Laid back, efficient & value for money. I have been going to Louise for a long time Louise is always professional does an excellent job and is extremely good value for money. Please pay her a visit you won’t be disappointed. I won’t go to anyone else now for my lashes. Louise is so lovely and everyone always comments on how natural and amazing they look. I have been visiting Loubelle Beauty for over 2 years and just when I think it cant get better it really does! Always a service with a smile and Loubelles massages leave me relaxed and rejuvenated. Louise did a great professional job as before, and will continue to use her going forward. A very relaxing LVL lashes treatment and the result is amazing – nobody can be believe I’m not eating mascara. Louise is friendly and a perfectionist, I would definitely recommend her, and this treatment. My therapist was very professional and knowledgeable.The room was clean and my therapist efficient .I was very pleased with the result and will definitely use Loubelle Beauty again. Lou does an amazing job of my eyelashes. They last a long time. Since going to Lou I would never go back to before! Lou knows what lengths will suit me and advises accordingly and she is always willing to offer help and advice for other things. I love my new brows! Louise took me step by step through the HD brow process, constantly checking if I was happy with the shape she was about to create and the colour. She was very thorough and had a great attention to detail. I will no doubt be back! Thank you! Fantastic and professional service. Louise was excellent and I will be using her service again in the not to distant future! I have been going to Louise for waxing for some time Louise always puts you at ease is very professional and her costs very reasonable for the excellent service she provides try her out you will not be didappointed already booked for my next visit. 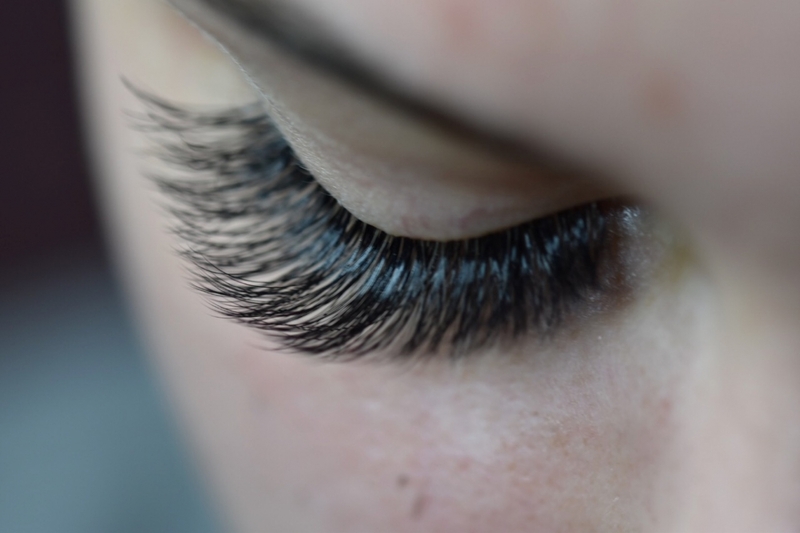 Lovely treatment – lashes look fantastic!! This was my first time for an intimate wax, and I was nervous. Louise did a great job of putting me at ease, explained everything in a fair amount of detail and most importantly, she was very quick. I would highly recommend Louise to any men considering a wax treatment. A lovely lady and great and swift service. Great service and Louise is lovely. Always a pleasure to visit Louise, efficient and as painless as she can make a Was! I always, Louise is very professional, on time and do waxing with care. I’m very satisfied and have became regular customer. Very relaxed and friendly environment. Feel completely relaxed and great, efficient service. As always Louise is a pleasure to go to. She’s fast & efficient & leaves you lovely & clean afterwards. Don’t look anywhere else for a wax! best hollywood wax i have ever had. almost pain free. will definately be a regular. Lovely massage, felt amazing after! Should have done this years ago, I will be back again! These are the best eyelashes I’ve ever had, the premises are spotlessly clean, but is also able to offer a warm friendly environment. Louise makes me feel 100% comfortable, extremely professional yet warm and friendly at the same time. Would highly recommend. The visit was good and the treat was done properly and with less pain as possible. Highly recommend. Prices were not to bad. Really quick, and much less painful than I expected having left it so long. Really smooth finish. Unusual positions as everywhere is different, but got the job done really well. Absolutely love my lashes! Best around and they last forever. I love going to Loubelle for my beauty treatments! Waxing is also great! Very friendly and professional with a relaxed atmosphere. Great for waxing, all over quickly. Louise makes you feel relaxed, very professional. I can highly recommend waxing. I’m happy to pay a deposit when I book an appointment. I have rang Louise at short notice and she’s managed to fit me in. Great service. Louise was great and I love my lashes! Thank you! Louise is so talented! I’ve had LVL done by several different people but she is by far the best! I definitely recommend. Louise is always normal, down to earth & does a fabulous job. I’ve had a lot of waxing from different places and she is by far the best. Can’t recommend enough that you need to book with her! Louise is a skilled professional and fitted me in for two treatments as I was struggling for time. Thank you! Have been going to Louise for some time a smashing lady very professional who puts you at ease as soon as you arrive. The atmosphere is perfect and Louise talks you through what she is doing. Men always panic at the experience but having had several treatments with Louise I would have no hesitation in recommending her and hopefully will be going back to her many times in the future. I’ve been to a lot of places to be waxed and this is the best value and most pain free one! If you want a wax you need look no further… You’ll be in professional hands & made to feel very welcome. Can’t state enough how much you need to give Loubelle Beauty a try; you won’t be disappointed! Brilliant lashes, I went for the Russians for my in fills and they are incredible. So please and getting lots of compliments and also people thinking they are natural, which is exactly what I wanted. I would highly recommend Loubelle beauty. The best eyelash extension I’ve ever had. Perfect job. I highly recommend Loubelle Beauty to anyone who wants to be in a perfectionist hands. She is a wonderful beauty therapist. Lou is great at what she does and lovely to deal with. I get a bikini, half leg and brow wax and and eyebrow tint and I couldn’t be happier. The service delivery is always excellent at Loubelle. She is professional,knowledgable and very experienced. I had a HD Brows and have awarded it 5 stars. I had a Classical Eyelash Extensions and have awarded it 5 stars. This was my first time for these wonder lashes. I just loved the whole ambience and Lou’s attention to detail she is a real character. A top notch professional service highly recommended. What a lovely lady. Very clever! I absolutely loved the way Louise work with her clients. She is super nice, client-oriented and friendly. Finally my search for a high-class specialist is over! Very polite and professional in all aspects. Put me at ease and explained the process. I had eyelash extensions and am over the moon with the result 🙂 a week on and they still look as good as brand new, Louise is lovely and I would 100% recommend Loubelle Beauty to anyone. Nice relaxing environment and I was out of there a very happy girl after a few lash extension disaster with previous salons. Will not go anywhere else again. I went to Louise after a bad experience elsewhere. She squeezed me in at late notice and did a really great job. She spent time carefully removing the previous lashes that had been poorly applied and I left with a new set of soft fluffy, well applied lashes. Lovely lady! Nervous for my first Hollywood but Louise was super nice and quick 🙂 would go there again. I am delighted with everything, Louise is a very proficient practitioner and takes pride in her work. I want hesitate to have more work done and thougherly recommend her . 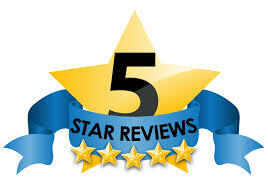 I had a Brazilian or Hollwood Wax and have awarded it 5 stars. Louise was amazing, by far the best massage i have ever had! From the moment I arrived, I was greeted with a very warm welcome and felt extremely comfortable. The procedure was explained in great detail and I’m absolutely thrilled with the end results. This was done with great care and precision and has totally transformed my features. All my friends have commented how lovely my eyebrows look and the shape is very suited to my face. Would not hesitate in recommending Louise, she has done a great job and is an extremely lovely lady. I regularly go to Louise for waxing. She’s very friendly, professional and makes me feel at ease each time. I’m always happy with the results and would definitely recommend her. Really friendly lady and lovely ambient room, she lit incense which made the smell lovely and far less clinical. She took time to listen to what I wanted and we chose lip colour and shape together using her professional experience and my preferences. amazing professional very nice lady and I will be booking to go back in 4 weeks . It was absolutely lovely! A great experience and was very welcome! Everything was explained to me as it was my first time and I left with no questions as of what to do to look after my lashes and nails! Have recommended to friends and will definitely go back! Thank you so much! I had a Waxing and have awarded it 5 stars. Wonderful service and friendly staff. I would really recomend this place. Good choice of nail colours too! Wonderful service and friendly staff. I would really reccomend this place. Good choice of nail colours roo! Louise was excellent. My first time ever for intimate male waxing – mostly for health reasons – and she handled it with sensitivity and effectiveness. The venue was very clean and Louise was very careful to not double-dip, which is particularly important for me (also for health reasons) to avoid the risk of infections/cross contamination. Thank you for making it a bearable experience. I will certainly carry on doing this regularly. Louise was fantastic, highly professional and made me feel completely at ease. I thoroughly enjoyed the whole experience I am very pleased with the results. Fantastic service, attention to detail, cleanliness and friendly atmosphere. Pleasure to attend my appointments. Have recommended to all my friends!! Excellent deep tissue massage. Louise was lovely and welcoming! Waxing: the best service ever – friendly and professional, would never get my waxing done by anyone else. Can’t recommend enough! This was my first time with male intimate waxing, although I had been contemplating it for quite some time with a degree of trepidation. I found Louise via Google after searching for somewhere close to where I lived. I contacted her online and arranged my appointment which was a few days hence, received a confirmatory email and a couple of days after received a reminder. Upon arrival I was greeted by Louise and shown up to her treatment room and immediately felt at ease as Louise’s manner was very calming and we chatted throughout the process. The treatment itself was not as painful as I had imagined and achieved the desired result, all in all a much better than I imagined, I will be booking another appointment in another four or five weeks. Very friendly welcome had great conversation very professional. Looking forward to returning to have some eyelash extensions. Also looking forward to getting my nails back into great condition. Louise is friendly and makes you feel relaxed and comfortable. She explains what she is doing to help put first-timers at ease. Had a lovely pedicure and shellac manicure. Louise is fantastic really friendly and easy to chat to! Fantastic products used and great salon set up. Would definitely recommend for a friendly, local, pampering treat! Wonderful eyelashes as always by Louise. I have been having eyelash extensions here for 6 months now and would not go anywhere else! Louise is excellent and would recommend her. Very friendly professional service with a smile. Easy parking and comprehensive service is offered. Lashes always look great, natural and last for a long time, you don’t even notice you have them on. I will be looking for Lou to do my shellac too. Can be embarrasing as a male going for a waxing but Louise was great. Atmosphere was friendly and relaxed and waxing was professionally done at a great price. Will be using regulary from now on. I had the full eye lash extensions done – they look good and will go back for top up before Christmas. Louise was very welcoming and did a fantastic job. I will definitely do back. Easy parking and easy to find. Louise took the time to listen to what I wanted. One of the best massages I have ever had and that included sports massages.I booked this treatment very late and didn’t have high expectations; although Louise has great reviews!!! !What a find!!!!! !and will definitely be booking Harmony Gelish manicure and lashes.Thank you Louise!!! Very friendly, excellent value for money, glad I spotted this great deal – have recommended to my friends. A very happy customer. Great job done. Very professional. Good value for money. This is my second time having a bikini wax by Louise and I will continue using her. Good experience, no waste of time, excellent job done with care and attention. Would highly recommend this service. Affordable price. My daughter and I both had our nails done and are very happy with end product and very friendly and lovely atmosphere. My second visit to Loubelle and this time I had matching fingers and toes – two weeks on they still look fabulous, even after gardening and washing up! Thanks Louise for a great experience and see you again soon! Louise explained the procedure thoroughly before commencing and ensured I was kept cool on a very hot July day by targeting a fan directly on my back during the procedure. She also took the time to explain what I should do next by way of exfoliation and recommended a time-frame to return. Happy with the overall experience at this venue. I had a pedicure and have awarded it 5 stars! Louise is great and I will definitely be visiting her again! Great colour choice, Louise even managed to convince me to have something different to my usual red. Love my pretty toes! As always great clean wax, have been to see Louise now few times, recommend to everyone! Will of course be going back! I had a Hollwood Waxing and have awarded it 5 stars. I had a Shellac Gel Nail Polish and have awarded it 4 stars. I had a Shellac Gel Nail Polish and have awarded it 5 stars. The lady was so sweet and funny. You are at ease with here. She makes it so natural. I was surprised it was in a house and not a saloon but I was fine too. The service at Loubelle was spot on. Exactly what I wanted. The technique was very good and the environment was welcoming and really comfortable. I will definitely be going back. This was a repeat visit and again, I was not disappointed. It really is a lovely place to visit, I feel so relaxed and at home. I had eyelash infills and the attention to detail is superb. Thank you again Louise. Very friendly, professional and expert service! I received a stomach and back wax which was done very quickly and well for a moderate price. This is the second time I have used ‘Loubelle Nails and Lashes’ to get individual eyelash extensions and I have been so so happy with them. I have received many compliments on how good they look and they make getting ready in the mornings 10x quicker. I really love having them and feel as though the price is good unlike many other places. Very very pleased!! In a nutshell, fantastic. I arrived looking drained and tired and left looking bright eyed and fantastic. My husband loves my new lashes and claims they are worth every penny. Louise is a true professional, my experience is never rushed and she take great care in detail. It is a very personal experience with louise and I always look forward to a return visit. Louise does the best lash extensions I have ever had, and I’ve been coming back for 7 months now. She’s friendly, really efficient and knows exactly what she’s doing. I have no hesitation in recommending. Louise is professional and friendly. She was extremely thorough in her job and made sure I was comfortable throughout a potentially embarrassing process.I had previously used another waxing service but found them to be a bit slap dash and seemingly afraid of handling that area of the body. Louise was very easygoing and comfortable with the whole process of intimate waxing. She was not afraid to take things in hand and took her time to do a thorough job. Once the wax was complete Louise removed the left over wax and applied Aloe to the whole area. The whole process was relatively painless and I was naturally concerned about a physical reaction like an getting an erection. Louise talked openly about her experience with this and happily continued her work when the situation arose.I have no problem in recommending Louise for male waxing and will definitely be returning! Lashes always look fantastic and last me 3 weeks until I would need a refill. Louise is a lovely person and always makes me feel welcome and relaxed, even gave me a great tip for my eyebrows that works a treat !! Louise is lovely and excellent at what she does……perfect lashes and brows every time. Louise is really friendly, and everything was quick and simple. Would recommend to anyone 🙂 Will definitely go there again. Love my pretty toes! I deffenently will going back again! Great service, very friendly, great quality, recommend to all! Perfect! Overall service was great . Would defiantly recommend to friends and family. Prices very reasonable . Managed to squeeze me in for an additional treatment too. Best quality service and Louise is a very friendly person, she made me feel welcomed and her work is up to the highest standards, highly recommended! I had eyebrow and chin waxing… quick and painless! have a wonderful smooth face now. Thank you Louise. I had gel nails, eyebrow and lip wax and have re-booked for regular maintenance, very pleased. Looking forward to having eyelash extensions for my next holiday. I am so happy with my beautiful Shellac fingers and toes. Louise was very professional but friendly. She worked fast and was great in helping me chose a good colour from her good selection. I had a CND Shellac Manicure and Pedicure and the fingers have lasted a good two weeks and the toes are still going strong. I have booked my next appointment and intend to do this regularly, because I am enjoying having beautiful looking nails, that don’t chip and peel. Great value for money and I highly recommend Louise. I visited Louise for semi permanent eyelashes. I came home looking and feeling stunning. Louise is very friendly and I have recommended her to all my work colleagues. Thank you so much and I will be back for fill ins. From eyelash extensions to manicures and IPL, Loubelle’s great offers and treatments were out of this world incredible. The atmosphere was calm and relaxing when I needed to relax and on other occasions full of chats and giggles when I really needed an outlet and chat. I had IPL on the underarms and chin and I’m so impressed by the results. All in all Loubelle is my preferred specialist beautician. I know I can rely on her at any time and that she will go out of her way to make me feel relax and comfortable for all me treatment needs. 100% recommended and such great vale! Lovely relaxed atmosphere. Very friendly lady who chats in such a way you feel like you are with a friend. I will definitely go back again and recommend to friends. Louise is great – really welcoming and makes you feel right at home. Thanks for my very pretty toes and the advice. Will definitely be returning and recommending her to my friends. Very friendly and welcoming. Care and time taken over “intimate” waxing. Extremely good value. Would certainly recommend. Local and convenient and easy parking. Having found Louise some six months ago, the service is still fantastic as are her skills. Would recommend to anyone who demands a top class service with superior quality products. Louise is great at her job and just a lovely person, I would recommend her to everyone. I booked lash extensions for my holiday yesterday. Louise did a fantastic job, everyone commented on them I love my new lashes and will be returning for infills and other treats. Louise is a real perfectionist, a fantastic therapist and a very nice person I had a very enjoyable afternoon. Would recommend.